A peer, a principal and a priest have joined growing numbers of West Londoners backing A Rocha UK’s bid to turn a former Southall drug den into public gardens. Labour’s Shadow Business, Innovation and Skills Spokesperson Lord Tony Young, who chairs Norwood Green Residents’ Association, Wolf Fields Primary School head Sharanjit Gata-Aura and St Mary’s Church Rector Rev Jeff Payne endorsed the charity’s plans to transform the three-acre wasteland known as Wolf Fields into community space. 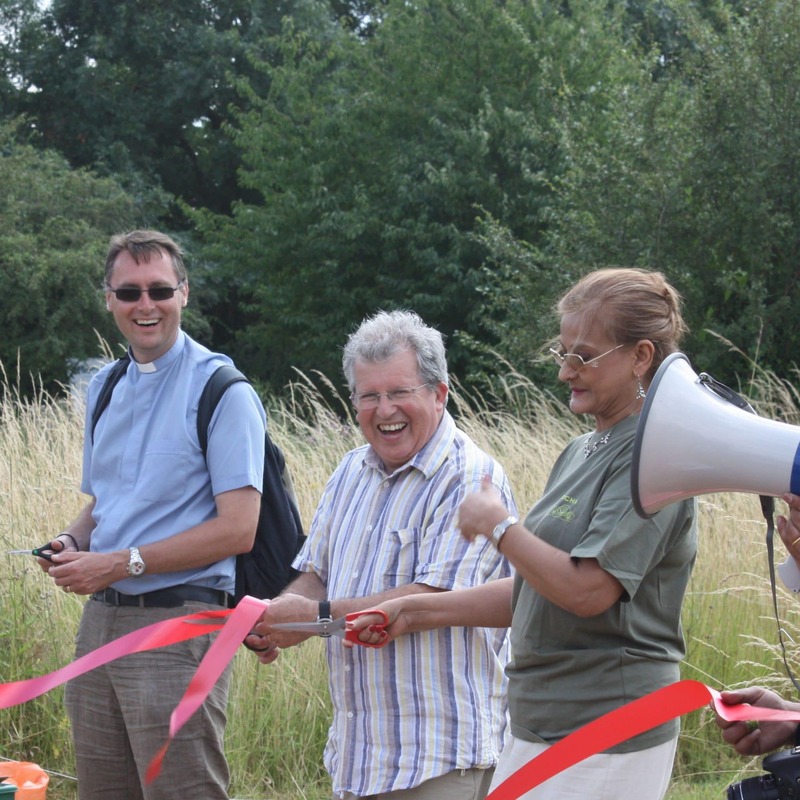 They cut the ribbon on 13th July for the scheme’s open day (pictured). One of the special guests described the event as ‘a unifying message to all our local communities’. Together they supported A Rocha UK Conservation Director Andy Lester and Environmental Education Officer David Melville as a team led an action-packed programme.